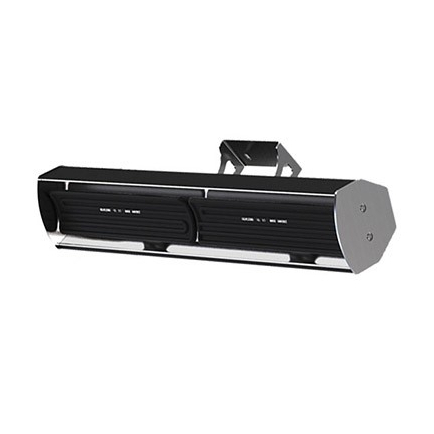 Are infrared outdoor heaters efficient? 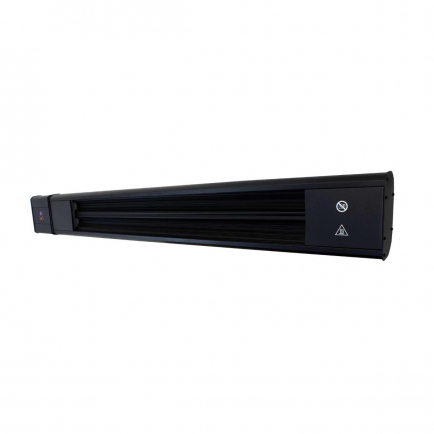 Infrared outdoor heaters are exceptionally efficient compared to traditional convection heating methods because of their superior energy conversion. They convert virtually all of the electricity they use into effective heating so that none of it goes to waste, and you can be confident in the knowledge that you’re never paying any more than needed to run your heater. 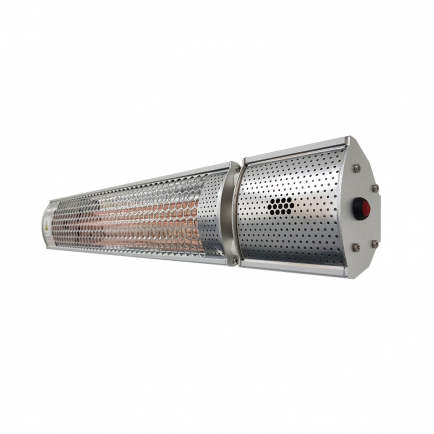 Although other types of outdoor heater can be cheaper to purchase, their running costs can be significantly higher. Gas patio heaters and traditional solid fuel burners combust fuel in order to produce warmth which isn’t a particularly efficient process as various by-products are created along with any useable heat. They often require regular maintenance and can take a while to get going so these methods certainly aren’t efficient in terms of the amount of time you need to set aside taking care of them! 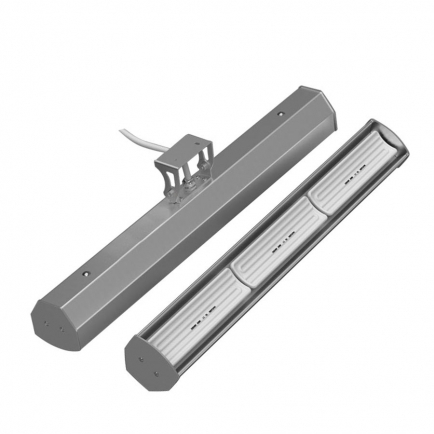 Halogen or quartz heaters tend to be less efficient out of all the infrared products available as they convert part of this energy into light. However, they provide an instantaneous warmth that can be felt the moment they’re switched on, so users will never have to wait around for their heater to warm up. 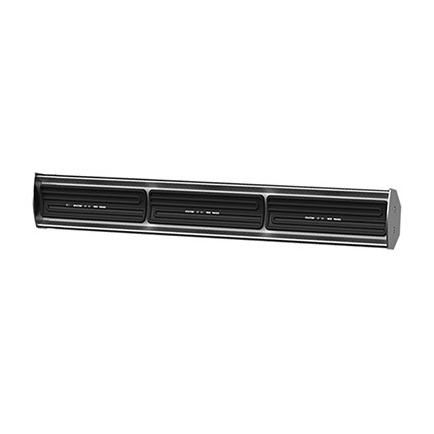 What IP rating do I need from my infrared heater? IP ratings are the standard used to indicate the level of protection an electrical appliance offers against the ingress of solids or water. You may have already seen ratings like ‘IP20’ or ‘IP65’ whilst browsing products on our site, but if you’re unfamiliar with them, it’s not immediately obvious what these ratings convey. The first digit of an IP rating indicates the protection level against solids and the second digit indicates the protection level against water. The IP rating you will need entirely depends on where you intend to install your infrared heater. A heater used in a typical indoor installation will usually only need basic protection, so you may find an IP20 rated product is sufficient. IP20 indicates no protection from water and limited ingress from solid objects (e.g. fingers). However, a heater that will be permanently installed outside will need an IP rating that ensures it’s adequately protected against the elements. As a rule of thumb, we would suggest installing a heater with a rating of at least IPX4 for a typical outdoor installation, as this rating indicates that the product is protected against splashes of water from all sides. This will be more than enough to protect against normal levels of rainfall. For more exposed areas with harsher conditions, such as seafront arcades, or commercial indoor areas that may be hosed down to clean, you will need a product with a rating of IPX5 or higher. If you need further guidance, don’t hesitate to give our sales team a call, or alternatively take a look at our IP ratings guide for a more in-depth look at this topic. What does infrared heat feel like? You may not realise it but infrared heat is all around us, and in fact, our bodies emit this type of radiation constantly. Radiant heat is given off by almost all types of heater, from radiators to open fires, and we feel this warmth by absorbing it through our skin and re-emitting it back into the atmosphere. The sensation provided by infrared heaters is similar to the feeling created by the warmth of the sun on your skin. It can be a more satisfying type of warmth compared to products that purely heat through the movement of warm air. Depending on the type of infrared heater you purchase this radiant warmth can differ. Far infrared heaters use a longer wavelength to provide a much gentler form of heat that your body can easily absorb, whereas near infrared uses a shorter wavelength to provide a more invigorating sensation of heat. 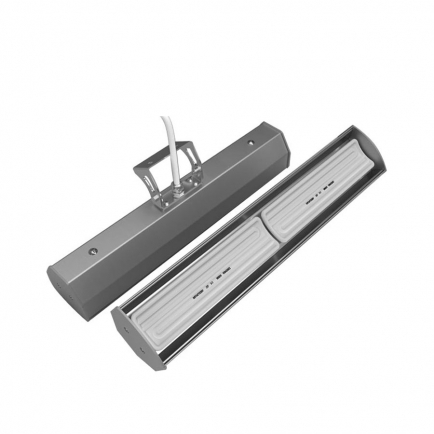 Are infrared patio heaters eco-friendly? Electric infrared heaters are one of the eco-friendliest methods of heating outdoor areas because they don’t produce any emissions when in use and convert almost all of the energy used into effective heat. Homes or businesses that have access to their own solar panels or wind turbines can even enjoy completely carbon neutral heating by powering their outdoor heaters with their own self-generated electricity. Arguably, no patio heater is completely eco-friendly as they’re luxury items that don’t necessitate the functioning of our everyday life. However, the same is true of several of our other home electricals such as TVs, games consoles and computers which many of us couldn’t do without. What patio heaters offer is improved quality of life as more of us are encouraged to get out and enjoy the best of the day. Businesses with outdoor areas will also find that these heaters encourage more foot traffic into their establishments as people gravitate to well-heated alfresco seating areas. As with any other appliance, you’ll need to weigh up all the of the pros and cons before committing to a purchase to make sure it’s suitable for your needs. 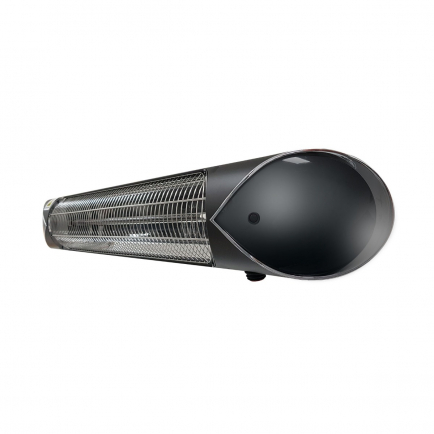 Favoured for their simple installation, rapid heat time and impressive efficiency, an infrared outdoor heater can help to keep your evenings balmy, long after the sun has gone down, without impacting greatly on your energy bills. Unlike convection heat which allows warm air to escape from poorly insulated or open areas, the infrared waves radiated from the heater are unimpeded as they travel directly to their surface or object. Investing in infrared heating can therefore be a smart choice for lower energy consumption when heating gardens and patios, breezy and exposed areas or in a wide range of commercial functions. Browse our range and choose from wall mounted, free-standing and portable options or consider compatible accessories designed to help you get the most out of your heating.